It may be small, but the Lil' Nasty Broadhead is a mean precision broadhead. The low-profile design shoots like a bullet and flies true, but it cuts like a large broadhead. Individually spin tested, this broadhead features molten injection metal technology, and the blades are triple sharpened for maximum penetration. 1" cutting diameter, Pack of 3. It may be small, but the Lil&apos; Nasty Broadhead is a mean precision broadhead. The low-profile design shoots like a bullet and flies true, but it cuts like a large broadhead. 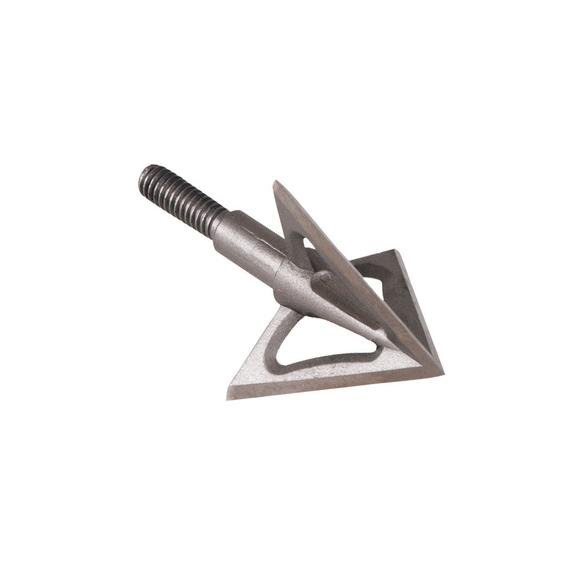 Individually spin tested, this broadhead features molten injection metal technology, and the blades are triple sharpened for maximum penetration. 1" cutting diameter, Pack of 3.